If you want fresh oysters daily, you'll soon have a new spot. 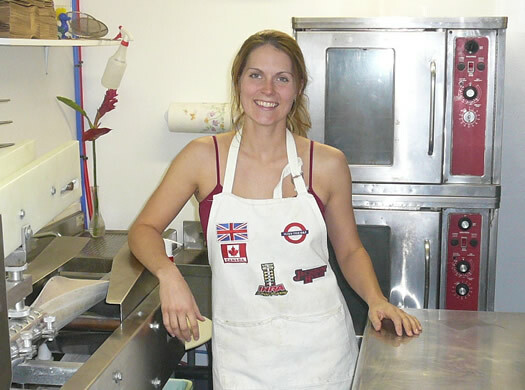 Heidi Knoblauch, an Emma Willard grad, recently returned to Troy after years in academia to open Plumb Oyster Bar. 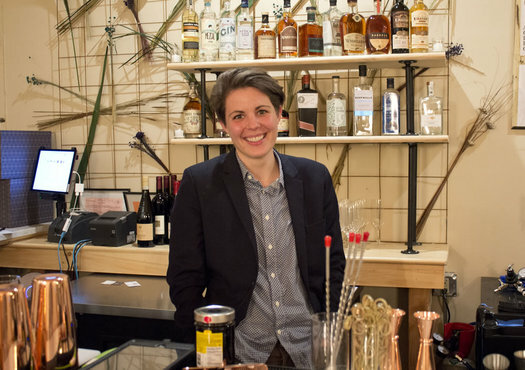 She's another young person investing in Troy, and she aims to create something a little bit different for this area -- while building a gathering space to serve both oyster lovers and the seafood-phobic alike. We chatted about oysters, the motivations to leave academia, and why Troy is the right spot for Plumb. AOA is on summer break this week. So we'll have new follow-ups this week with people we've covered during the last few years. Today we're revisiting Takk House, a wedding and event space in downtown Troy. When I first spoke with owners Heidi Benjamin and Frank Sicari, they were just getting started with the building, which many remember as a former Knights of Columbus building. 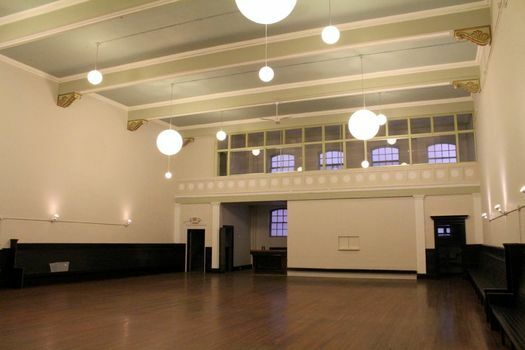 In the last two years, they have put in countless hours renovating the building and have begun to host weddings, performances, and other events. Funny story is that when we were looking up at the space a random person justÂ announcedÂ to us in passing that it was 'the most beautiful building in all of Troy.' We both looked atÂ each otherÂ puzzled andÂ thought...this? It wasn't until the showing that we completely fell head over heels in love with 55 3rd St. From the outside the space looks a bit rough due to the facadeÂ deteriorating. We never in a million years would have thought the insideÂ would be so magnificent. It is like a hidden treasure.Â I think that is the best part of all. I caught up with Benjamin and Sicari to see what it's been like to run Takk House, and got the word on their next business venture. AOA is on summer break this week. So, like last summer, we'll have new follow-ups this week with people we've covered during the last few years. 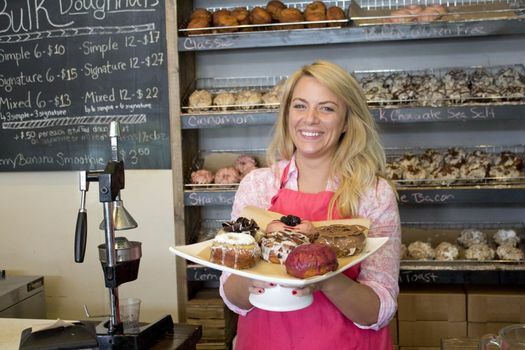 Today we're checking back in with Jessie Cramer of Nibble Inc, a donut shop in downtown Troy. Nibble is known for its gourmet donuts that are made out of a potato-based dough. "The best doughnut I've ever had," Cramer adds. "And I thought 'How can I make this donut so I can have it whenever I want?'" After almost two years in business, Cramer has refined her recipe, grown her business, and is planning for an upcoming move. Living in a city often means that you have to make the best of extremely limited outdoor space. If you're lucky enough to have a yard, stoop, or fire escape, it can be a challenge to flex your green thumb in any significant way. Emily Menn, a Troy real estate developer and landlord, has been working on green space in Troy for the last eight years. And she's transformed a neglected double lot into a budding downtown oasis. 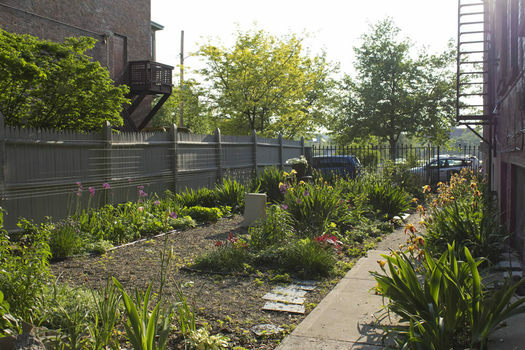 I chatted with Emily about how gardens in cities can build community, as well as the challenges and opportunities of urban gardening. When you think of a food court, your first thoughts are probably of shopping malls and crappy fast food. 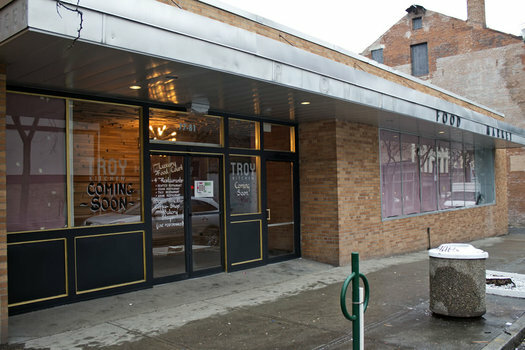 Troy Kitchen -- opening in downtown Troy Friday -- is hoping to change that. The food court is an amalgamation of food and drink vendors located in the former Pioneer Food Co-op space on Congress Street. The venue is the brainchild of Cory Nelson, who confesses that he has no food service experience, but saw a business opportunity. I talked with Nelson earlier this week as work was finishing up on the space to get the details on his food vendors, inspiration, and goals for the venue. The former Trojan Hardware complex includes multiple buildings that were connected during the former store's almost century-long run. Some projects aim to remake a single space or building. Kevin Blodgett has been remaking an entire corner of downtown Troy. Since 2012, Blodgett has been redeveloping the former Trojan Hardware complex on the corner of Congress Street and 4th Street bit by bit. Spaces within the 35,000 square feet now provide homes to Rare Form Brewing Company, The Shop, and most recently, Forage + Sundry. And this spring Harrison's Corner Market -- a neighborhood grocery and sandwich shop -- is set to open. I talked with Blodgett recently about his hopes for selling groceries in downtown Troy and the challenges of developing such a large space. Opening in Troy this Saturday is Superior Merchandise Co., a shop that combines a home goods boutique, a coffee bar, and a florist. While it seems like an eclectic mix, somehow everything fits together in this Fourth Street business. It has not been an easy journey for Felicity Jones and Mike Romig, who are co-owners and partners. 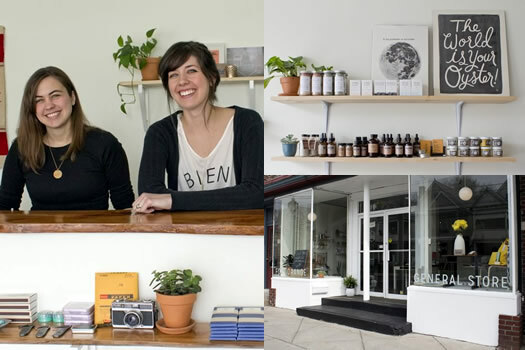 They have spent two years transforming a building that was slated for demolition into a comfortable and hip shop. Much of their aesthetic inspiration comes from Copenhagen, with an eye toward creating a simple, clean, and modern interior. I was able to stop by in advance of their opening to catch a glimpse of Superior Merchandise Company and to chat with some members of their team. I tend to be critical of the retail selection in the Capital Region, especially when it comes to women's clothes. Maybe my disdain is unwarranted, but this area is missing some of my favorite brands -- among them, the upscale department store Nordstrom. 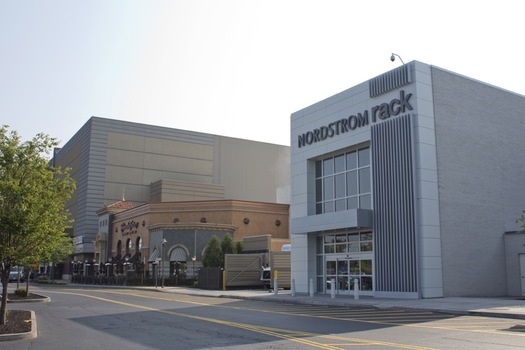 As you've probably heard, a new Nordstrom Rack opens today at Colonie Center. It's not quite a full-fledged Nordstrom, but more like its less expensive, bargain-centered little sister. I'll take what I can get. I had an opportunity this week to poke around Nordstrom Rack to see what shoppers can expect from this new spot. Lauren has set out to survey a handful of brunch spots around the Capital Region for a short series. I'll admit it. I am one of those people that tends to pass over suburban eateries, especially if they're located inside of a strip mall or plaza. In that way, I have become an urbanite, gravitating towards the downtown areas in the Capital Region. The only problem with this perspective is that you can miss out on some interesting places that are still locally owned. 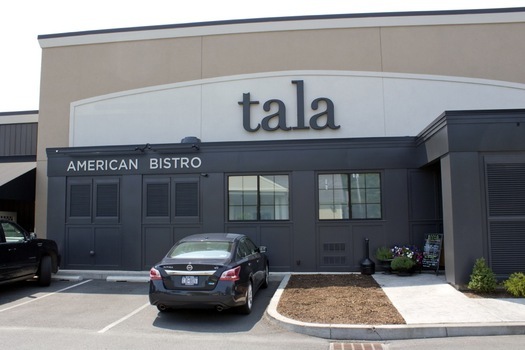 An example of such a place is Tala, a Mazzone Hospitality restaurant located on New Loudon Road in Latham. I'm glad I abandoned my city preferences and visited this modern, bistro-style restaurant as part of my brunch investigation. Plus, as this was the suburbs, there was no Sunday morning test of parallel parking skill. AOA is taking things a little easy this week for summer break. So we thought it'd be a good time to catch up with some local businesses we've covered during the last year (or so) and find out how things are going. 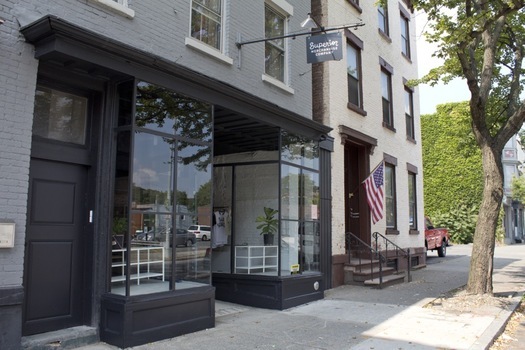 Today we're checking back with Fort Orange General Store (FOGS), a small lifestyle shop that opened on Delaware Ave in Albany last May. FOGS is owned and operated by friends Caroline Corrigan and Katy Smith, who remain committed to sourcing wares from working artists, and who care a lot about their local community. "People will come to Fort Orange because we aren't a big box store! We offer items are that are a little different and special. It's a great place to buy a thoughtful gift. If you care about where your products are coming from, and about investing in local business, this is a great place for you." After about 14 months in business, Corrigan and Smith have a lot to say about paying attention to customers, sorting through potential products to carry, and what happens when people ask who's the owner. Next we're revisiting Collar City Hard Pressed (CCHP). When we first interviewed owner Jessica Garrity, now Jessica Quijano, she was running her business solely at the Saturday Troy farmers' market. 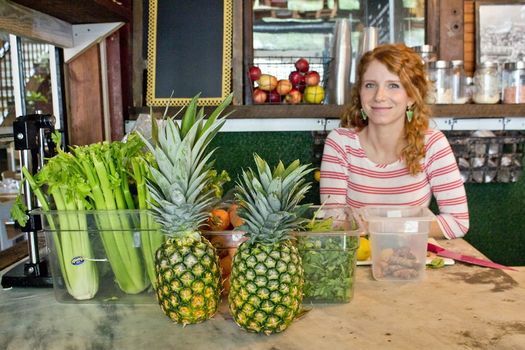 Since then, she has moved to working full-time for her juice and smoothie business, taking up residence on Broadway in downtown Troy. "I found myself basically obsessed with fresh juice and smoothies and was suddenly annoyed that there wasn't a place in my neighborhood where I could get any. I kind of hate leaving my neighborhood on the weekend so just thought it was only fair that we had a juice place here downtown. 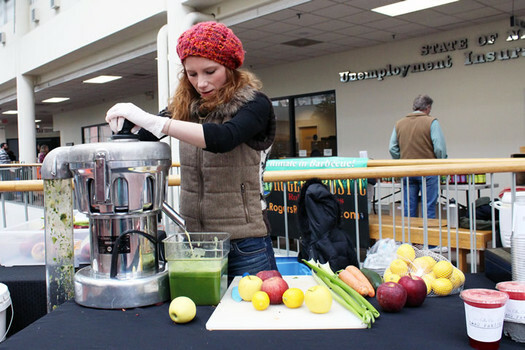 I also recognized that juicing was a pretty trendy business and thought downtown Troy would be a great place to get to work." I caught up with Quijano to see what it's like to be running a small business on her own, and to get the scoop on the different reactions to a juice bar in downtown Troy. 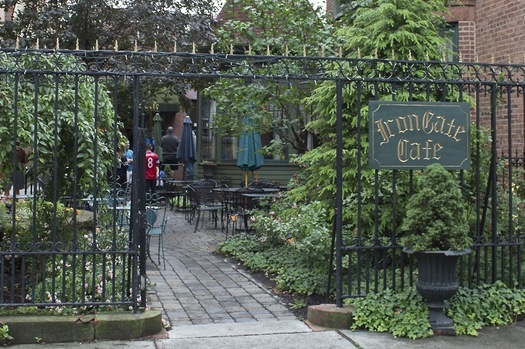 A tour of brunch locations wouldn't be complete without a visit to Iron Gate CafÃ©. This spot is well beloved, and I received many suggestions to stop by on my great breakfast quest. I'm not surprised that people love this quirky downtown Albany spot, since it has a gorgeous patio and brisk service. If you're looking for a simple, savory, and satisfying breakfast, Iron Gate is the place. Every once in a while there is a popular local business that completely slips under my radar. As a dedicated Trojan, I'm embarrassed to say that Carmen's CafÃ© has evaded me. Even though Carmen's has a devoted following, and has been voted "best brunch" in a few local polls, I made my first visit this summer. 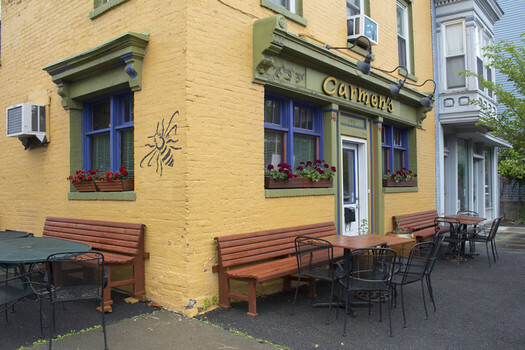 Carmen's is a cozy Cuban/Spanish restaurant located on the corner of a quiet residential block just to the southwest of Washington Park in Troy, so it's probably not the sort of spot a lot of people will just happen upon. You have to go looking for it, as I did recently, in search of delicious brunch. Lauren has set out to survey a handful of brunch spots around the Capital Region for a short series. Got a suggestion for a place to check out? Email us, or drop the suggestion in the comments. To me, brunch is the ideal meal. Depending on your wishes, brunch can be a sweet breakfast or a savory lunch. You can drink alcohol in the early afternoon without judgment. And it's perfectly acceptable to brunch with your best friend as well as your grandfather. And the good news is that your first drink is included. This is the perfect time of year to go wine touring -- the weather is beautiful, but it's not quite full-on pool weather, yet. 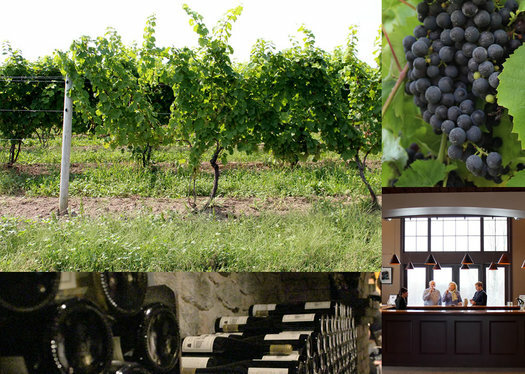 Luckily, the Capital Region is near multiple collections of wineries. It's easy to go touring for the day, or a quick overnight, without too much planning or cost. Here are three nearby regions where you can make a day out of trying local wines. When you think of adventures in mysterious lands with dragons, kings, and barbarians, you probably don't think of chefs. But that's exactly how local artist and graphic novelist Eric Colossal imagined Rutabaga, the main character in his recently released comic Rutabaga, the Adventure Chef. This tenacious and scrappy chef seems to always cook his way out of the troubles he invariably finds himself in. 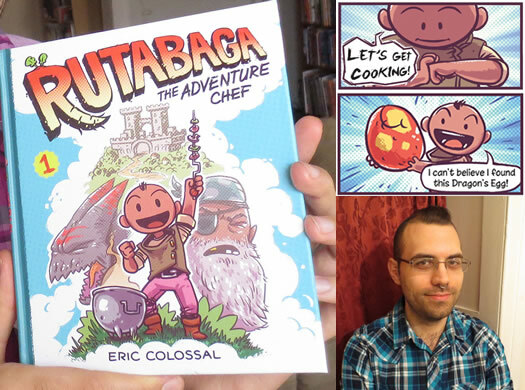 I chatted with Eric Colossal about the story behind Rutabaga, and his experiences becoming a full-time artist working on published books. With spring finally here, wedding season is upon us. If you haven't been inundated with this year's save-the-dates already, be prepared for the invitations to start rolling in soon. Every year there are new wedding trends. And in recent years it's been especially nice to see local couples incorporating their love of the Capital Region into their big day. So, to get a sense of how people are planning this season, I chatted with three local wedding planners. They gave me the scoop on what's new, interesting, and different in the regional wedding scene. I would not consider myself a coffee snob. I don't have a favorite barista or monitor the time between the grinding and brewing of beans. And, sin of all sins, I own a Keurig. However, there is one beverage that I am beyond picky about: the cappuccino. Ever since visiting Italy last year, I have been searching for an authentic Italian-style cappuccino in the Capital Region. I have been discouraged by insanely large cup sizes and creations that more closely resemble a latte, filled with excessive amounts of milk. 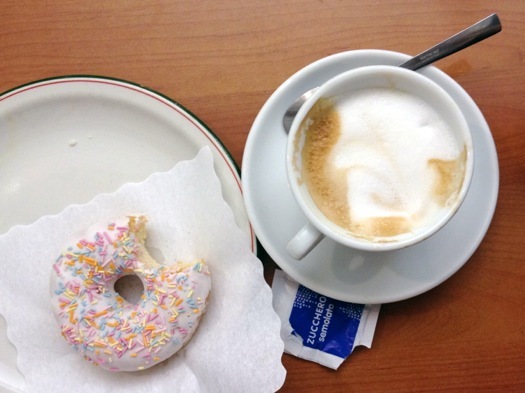 So, in an effort to find a cappuccino like the versions I had in Italy, I recent visited five top cafes in search of my local favorite. I have spent most of this winter avoiding the cold and staying indoors. But there is a different way: Some people actually embrace the frigid weather and enjoy activities that are winter-specific. 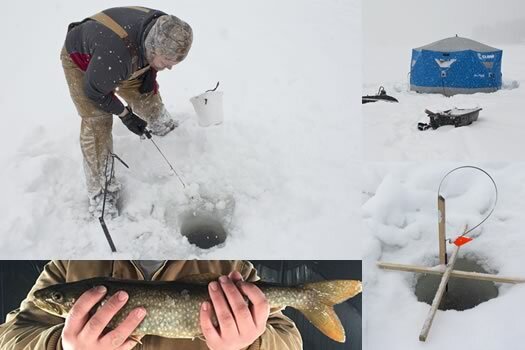 I've always marveled at the groups of people ice fishing out on solid lakes and rivers. To a novice like myself, the whole thing seems very mysterious and dangerous. So, naturally, it was time to go ice fishing. It's not every day that you get to meet and interview a professionally trained clown. Set aside your preconceived notions, because Aaron Marquise isn't just some guy in bright pants and a painted face. He's about to graduate from the National Circus School in Montreal with a diploma in clowning. 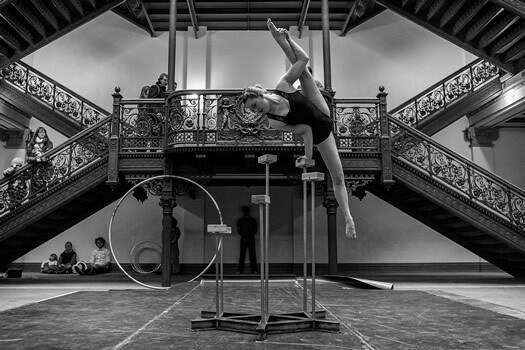 Originally from Round Lake, Marquise is back in town this week to produce a series of shows at the Gasholder Building in Troy alongside the FAQ Circus collective. And he's got his sights set on continuing to expand circus in the Capital Region. For those of us who don't enjoy the cold, it can be really tough to stay active in the winter. And even if you do like getting outside for winter activities, a day in near zero temps can be less than appealing. 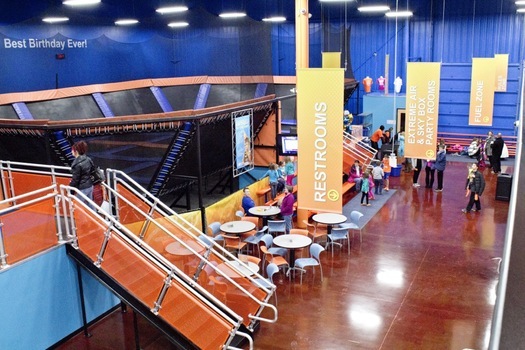 So, to avoid the cold and still stay active, I peeled myself off the couch and headed over to Sky Zone last week to check out its indoor trampoline park. As the winter drags on, I'm continuing to look for accessible day trips to keep away cabin fever. 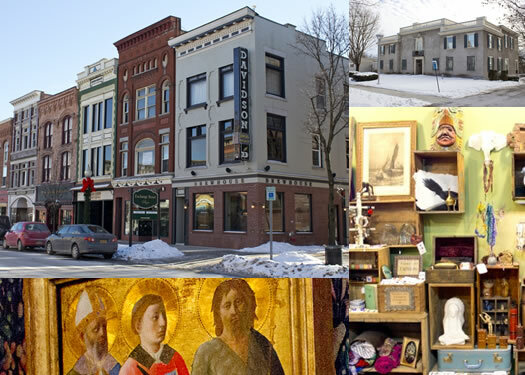 I recently visited Glens Falls, which was a perfect spot for a little adventure and exploration. Glens Falls is far enough away that it's not a regular destination for me, but close enough for an impulse day trip. Plus, the town is filled with arts and culture. 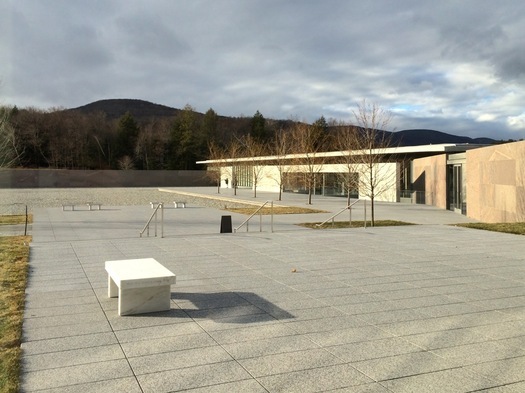 The new building at The Clark. Normally I am a very active person, but the cold weather makes me an unhappy shut-in. This winter I want to change all of that. I'm going to be highlighting some great day trips and activities that work well in the winter, by either celebrating the snowy weather... or by staying mostly indoors. Our first destination is Williamstown, which is great for art lovers. I started out the day at the newly renovated Clark museum, and spent the rest of my time enjoying this old Western Massachusetts town. Troy woodworker Jim Lewis has a spiritual and emotional connection to his work. 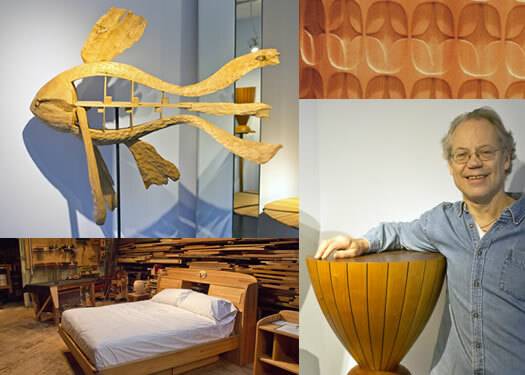 The self-taught craftsman has created furniture, liturgical pieces for churches around the United States, and sculptures over his four decade career. And he's continuing to evolve his work. Lewis recently re-introduced his 4th Street shop, Icarus Furniture, as Springwood Studios as part an effort to "go back to my roots and do things a little simpler and a little sweeter." Since the holiday cocktail is such a central part of any festive fÃªte, we asked five Capital Region bars to create locally-themed versions of their favorite seasonal drinks. 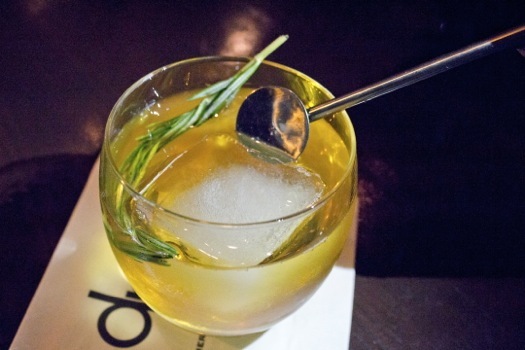 Last time we stopped by New World Bistro Bar, dp, and 677 Prime to try their creations. Today we'll finish up the tour with Speakeasy 518, The Malt Room, and the tasters pick their favorites. It's December, which means we are officially into holiday party time. I know that you're not looking forward to endless cruditÃ©s and cubed cheese. Let's be honest. It's all about the holiday cocktail. Here at All Over Albany we recognize the importance of a good festive drink. 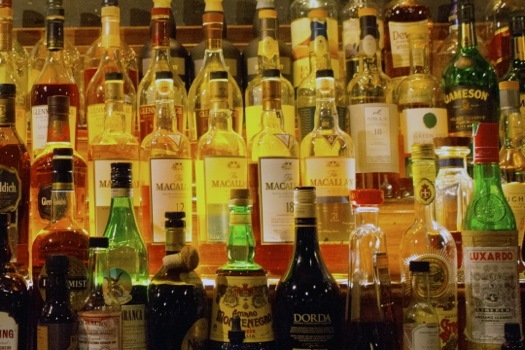 That's why we asked five local bars to create the perfect holiday cocktail. To make things even more interesting, we requested that each beverage contain at least one ingredient local to the Capital Region. We brought along some tasters to give their opinion, roped in designated drivers, and headed off to try the five festive creations. 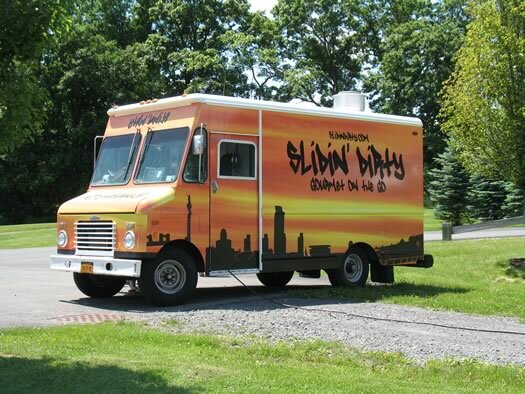 I'm a big fan of food trucks, and particularly fond of Slidin' Dirty. So I was over the moon when I heard they were opening a permanent brick-and-mortar location in Troy. 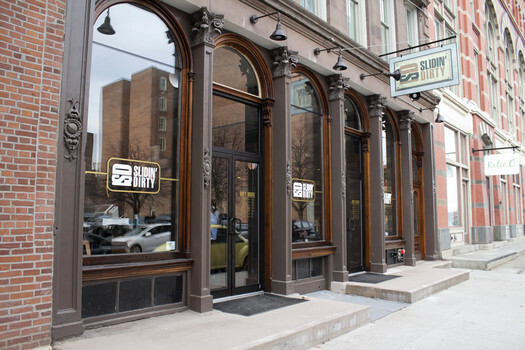 This week I stopped by to check out the new space on First Street, which maintains the no-nonsense Slidin' Dirty vibe. Before we all ran through disposable razors every month, there was a different way of shaving -- with a straight razor. And as Adam Cresko sees it, something was lost when we made the switch. So Cresko is helping bring back the art of the straight razor through Roosevelt Grooming Company, a business he started that refinishes vintage straight razors and sells a line of grooming products. 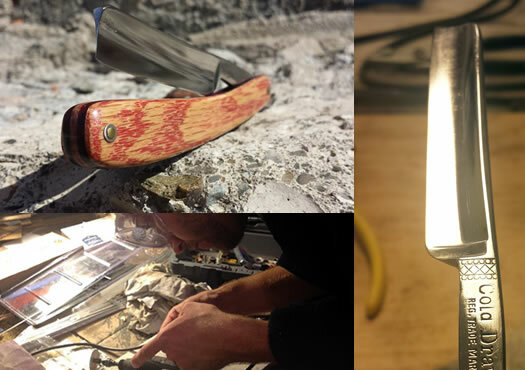 I talked with the Cohoes-based Cresko about shaving with a century-old razor, making things by hand in a world of disposable items, and the history and art of a daily ritual. A clip from the Troy Sunday Budget. It's always fun to have a peek into the history of a city you love. That is why I was tickled to find a bunch of articles from esteemed residents on how to improve Troy -- from 1917. 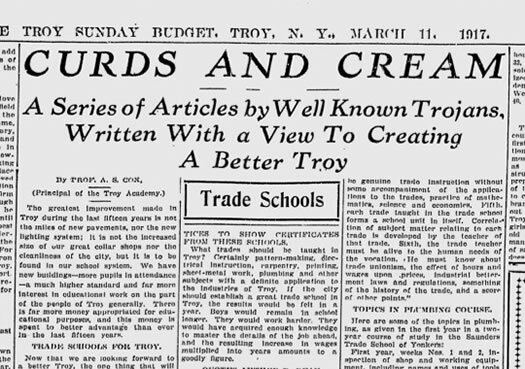 The Troy Sunday Budget, a weekly newspaper printed from 1916-1927, published pieces called "Curds and Cream, a series of articles by well known Trojans, written with a view to creating a better Troy." Some articles advocated for increased patriotism, while others rallied for a Housewives' League. And some issues are still a topic of discussion today. 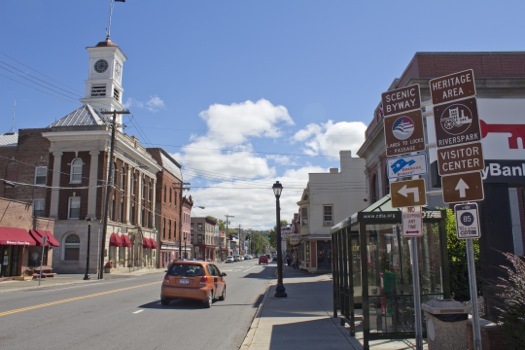 The Capital Region is full of cities, towns, villages, and hamlets. And some of these places -- like Albany or Saratoga Springs or Troy or Schenectady -- get lots of attention. This series isn't about those places. It's about those other spots -- the "in-between" places. 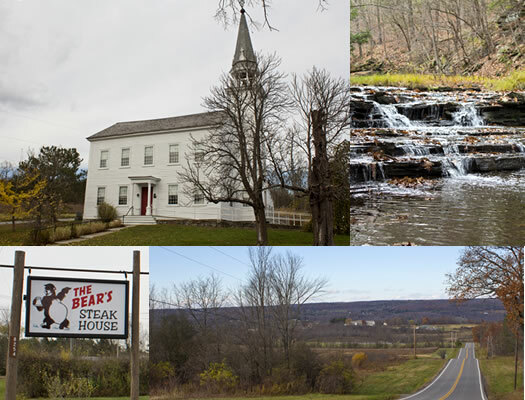 If the namesake of Duanesburg had his way, it would have been the capital of New York. Obviously that didn't happen, but the town of Duanesburg has still had a long, interesting history. And today it's a warm country community with beautiful views and historic buildings. 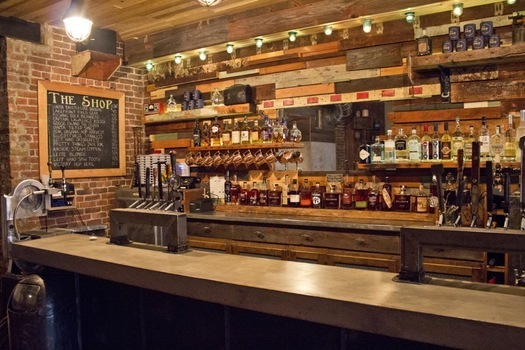 This Friday marks the grand opening for The Shop, a new restaurant and bar in downtown Troy. It's the third commercial space to open at the former site of Trojan Hardware along 4th Street and Congress, following the May opening of Rare Form Brewing Co. and the Collar Works art gallery. Looking to create a neighborhood bar, owner Kevin Blodgett says The Shop will have a "casual atmosphere, with no pretense. We just want people who are going to enjoy good food and good conversation." I stopped by to talk to Blodgett and his partner Nada Rifai to get the scoop on the restaurant, the building, and how The Shop fits into Troy. This year I've been visiting local state parks. Well, mostly state parks -- last time it was Saratoga National Historic Park. This time, it's Pittsfield State Forest in Massachusetts. Fall is very much in progress and it will soon be over. 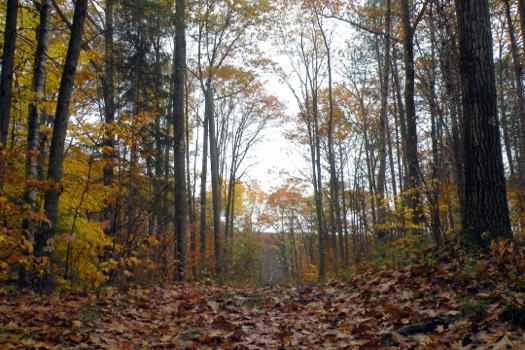 So now is the time to go on a hike and get a look at the last part of foliage season. To do just that I headed over to Pittsfield State Forest this past weekend. It's very beautiful and a great place to enjoy a beautiful autumn day. And it's just across the border in Massachusetts. My suggestion: Head over to the forest for a walk, and then make a day of it by exploring some of the small towns in the Berkshires. I enjoy shopping. And though there are spots that I love in the Capital Region, I've been a bit underwhelmed with the overall range of options for clothes shopping here. In my experience there's a rather lackluster diversity of styles, and what is available is often disappointing, especially for items that might skew a bit more toward younger women and men. And the few good places are spread out, so if you're shopping for something specific to wear to an event, you have have to travel to multiple different locations around the area. I usually don't have time for that, so I end up browsing at one shopping mecca and leave disappointed. 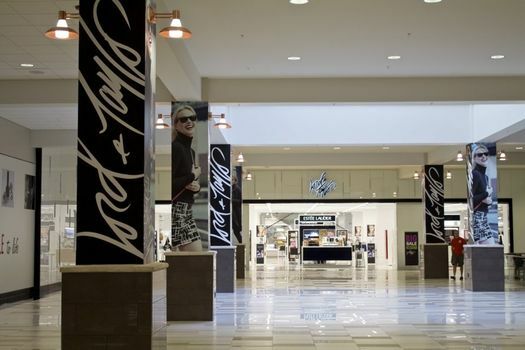 So, with all that in mind, I was excited by the announcement that Lord & Taylor was moving back to the area. A little competition and invigorated selection is always good for shoppers, right? The store has been open for a few weeks now at Crossgates, and I figured it was a good time to check it out to see if the store matched all the hype. This year I've been visiting local state parks. Today we are switching it up with a National Park located in Saratoga County. 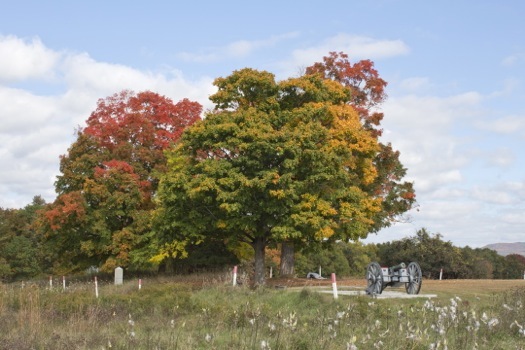 Much of Saratoga National Historic Park is centered around its history as the site of two major Revolutionary War battles, making it an excellent stop for history buffs. But the views and distinctive touring route makes this park worth a visit even if social studies was never your thing. 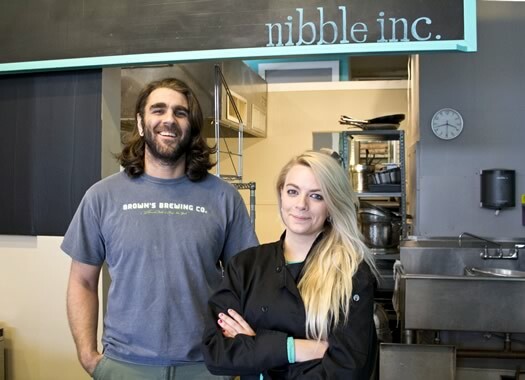 New donut shop for Troy: Nibble Inc.
Nibble Inc. owners Michael Cunningham and Jessie Cramer. Sometimes food can inspire you. Jessie Cramer and Michael Cunningham had no plans for a donut shop until "eating a really good donut," says Cunningham -- "a mind-blowing donut." The pair figured out how to make their ultimate doughnut and they're opening a shop -- Nibble Inc -- this Saturday to bring those donuts to Troy. In North Troy there's a group of nine individuals trying to promote economic development and social change with very different approach. This collective, working under the name Margination, is an ongoing experiment in collaboration and interdependency -- sharing financial resources, expenses, even housing. Their goal is to use the skills of group members to provide secure work and secure housing to demonstrate that anyone with determination can flourish inside of a local economy. 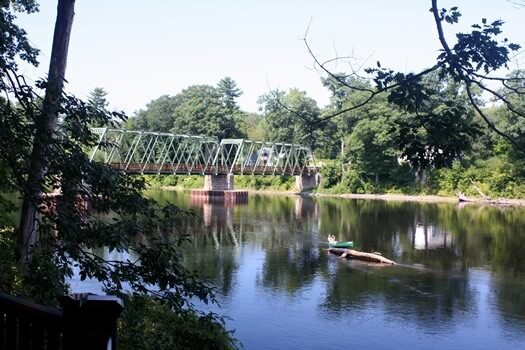 The small village of Waterford is all about location, location, location -- along the water. Its spot at the convergence of the Hudson and Mohawk rivers has been a key part of history, and continues to play a prominent role in the village today..
Composting might sound a little odd -- separating stuff like food scraps from your trash so it can be decomposed -- but think of it this way: Composting is like recycling, but for organic trash. And just like a used bottle can be recycled into something different, your leftovers from dinner can also be transformed into something new and productive. 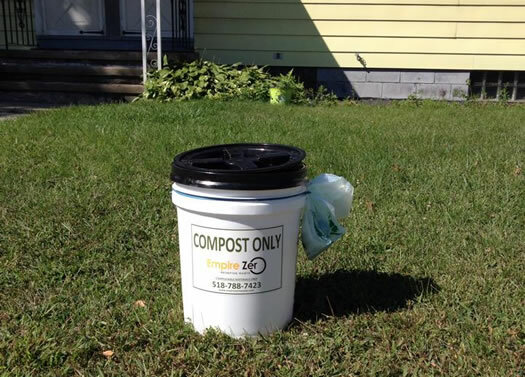 Here's a quick look at four local services that are aiming to make composting a regular household practice, and help you do the environment a favor. Maybe it's just me, but I've noticed a distinct lack of stores for men in the Capital Region. Women get all of the fun boutiques and quaint shops, while the men are left waiting on the couch for shopping to be over. Recently Jonathan Brust has done something to change that. He just opened Enigma.Co, a men's clothing shop. 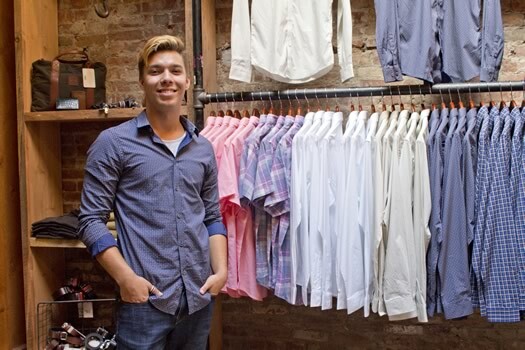 Located in downtown Troy, Brust is aiming to elevate men's style by offering interesting brands and goods. 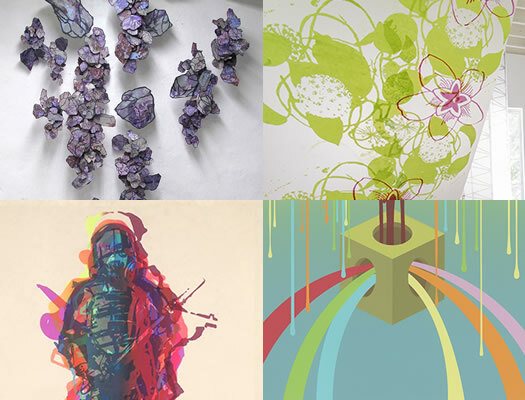 Clips from pieces from some of the artists whose work will be on display (clockwise from top left): "They Said Stones" by Shawn Bitters; "Canopy" by Taryn McMahon; "Demos Onoiroi" by Mark Hosford; "Laugh Riot" by Midwest Pressed (Tim Dooley and Aaron Wilson). This September the first East Coast Screen Print Biennial is coming to the Capital Region, and it's a pretty big deal. Screen printing as an art form has been around since the early 1900s, tracing its roots to industrial printing. And most of us have screen printed items in our houses, probably in clothing and other textiles. Even so, there hasn't been a recent large scale exhibition in the United States to showcase the art form. Local artist and RPI faculty member Nathan Meltz decided to change that. So he organized the biennial at the Arts Center of the Capital Region in Troy to celebrate the artistic side of the medium and showcase many of the different paths this artform can take. 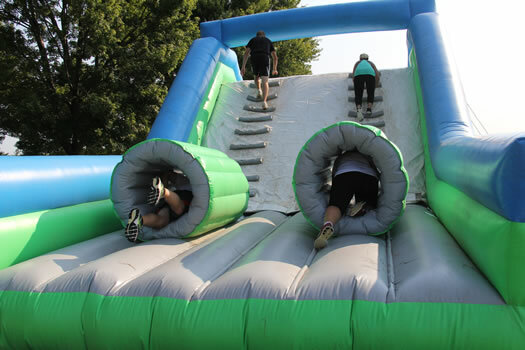 The Insane Inflatable 5k also includes obstacles. Fall is a good time to lace up your sneakers and hit the pavement. But, if you're like me, motivation can be a bit of a barrier when Netflix is calling. Luckily there are a handful of local races with silly or fun themes to take the edge off. After all, nothing says motivation to run quite like being chased by someone in a zombie costume. This summer I'm visiting local parks to bring the scoop on each one to you. Today I'm headed north to Hudson Crossing Park. I've also already visited Hudson Crossing, Cherry Plain, Moreau Lake, Grafton Lakes, and Peebles Island. 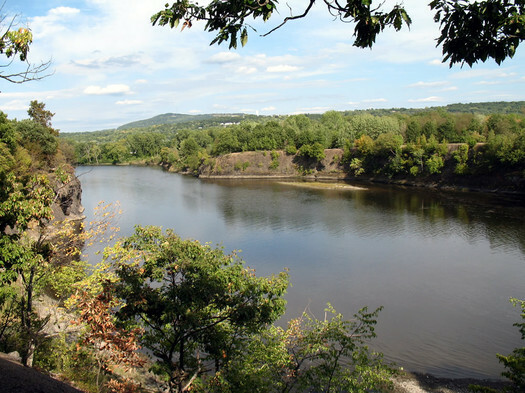 If you've never been to Schodack Island State Park, you are definitely missing out. It is an incredibly peaceful spot right on the Hudson River, and the grounds are meticulously cared for. It also scores big bonus points because it doesn't charge an entrance fee during the week, making it a great destination for families and visitors during the week. This summer I'm visiting local parks to bring the scoop on each one to you. Today I'm headed north to Hudson Crossing Park. I've also already visited Cherry Plain, Moreau Lake, Grafton Lakes, and Peebles Island. Hudson Crossing Park is a little bit different from the other destinations I've visited this summer. First off, it's not a State Park and subsequently has no admission fee. Also, it's specifically focused around environmental responsibility, and you can see evidence of that all around the park. It may not have as many amenities as other locations, but the beautiful setting and unique eco touches make it worth a stop. The Brewcycle stopped outside The Ruck in Troy. 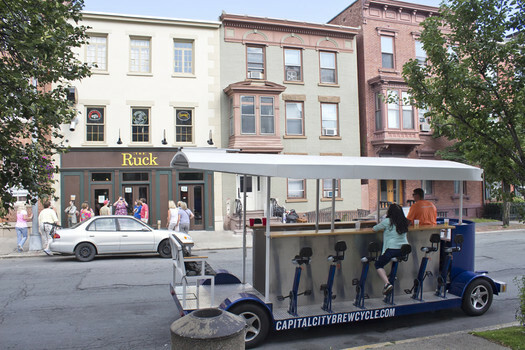 The Capital City Brewcycle, which started operating in Troy this summer, puts a different spin on the pub crawl -- or, to be more accurate, you put the different spin on the pub crawl. Because the trolley-like Brewcycle is powered by the pedaling of 12 of its passengers. I got a chance to give it a try this past weekend. This box is outside the Tech Valley Center of Gravity in downtown Troy. There are little metal newspaper boxes popping up around Troy this summer. But instead of distributing newspapers, they're serving as free "libraries" for anyone to take a book and/or leave a book. 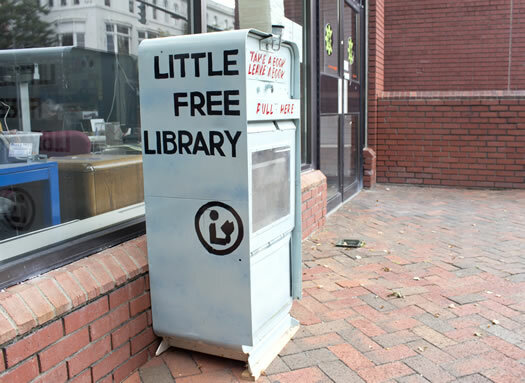 They join a collection of "Little Free Libraries" that includes a few other spots around the Capital Region, and many others around the world. Nothing warms my heart quite as much as a creative person making his or her own way through the world. Which is why I was keen to talk with Sean Desiree, a self-taught furniture maker (and musician!) in Albany. 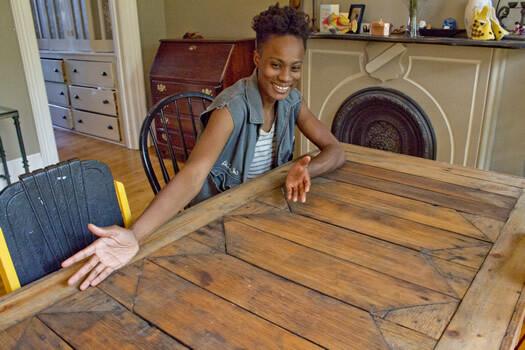 Desiree is committed to using reclaimed materials -- primarily leftover wood pallets -- to create tables, bookcases, and other pieces. Sometimes nothing short of the ocean will do. August is here and it's time to get out there and do all of those summer activities on your list. One of my favorites is a trip to the beach. 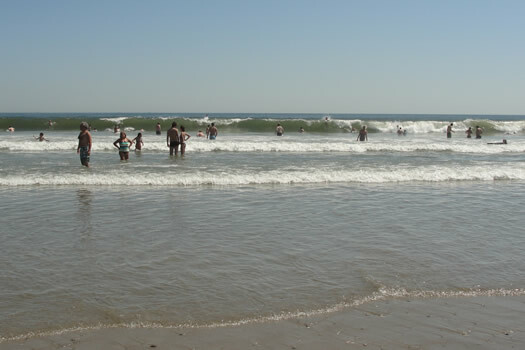 And while Grafton Lakes or Lake George are nice, they don't really compare to the Atlantic Ocean. The good news is that the Capital Region is close to some wonderful destinations for a day trip or overnight getaway to the beach. 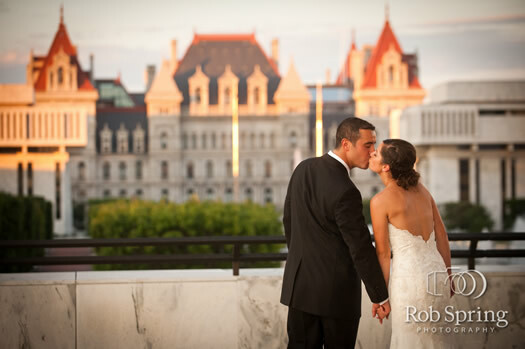 Planning a Capital Region wedding: recap! Congrats to Lauren and George! Over the last few months Lauren has been sharing her wedding planning process here at AOA. Well, guess what: She now's married and back from her honeymoon! This summer I'm visiting local state parks and getting the scoop on each one. 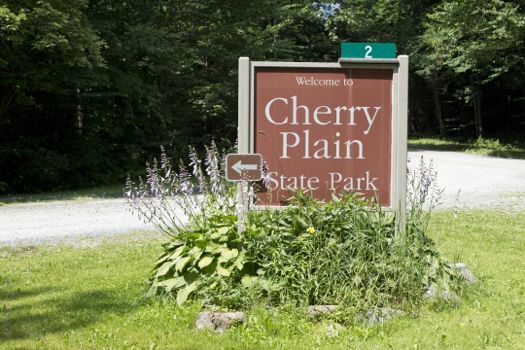 Today I'm stopping at Cherry Plain State Park. 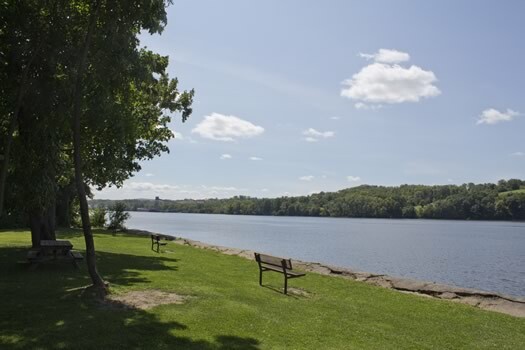 I've also already visited Moreau Lake, Grafton Lakes, and Peebles Island. 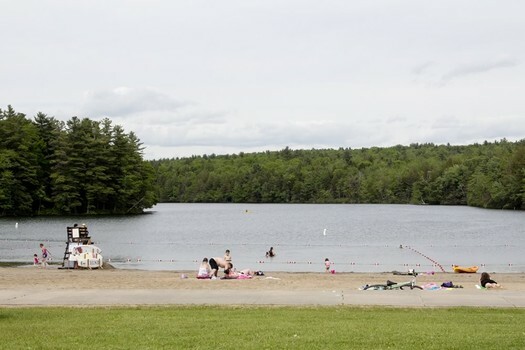 I first heard of Cherry Plain State Park as an ideal place to go to avoid the crowds, while still getting a day of swimming in. The park, situated quite a distance from metro areas, certainly does deliver on the promise of peace and personal space. Niki Haynes says she's "living the analog" dream. Haynes and her husband, Steve Rein are artists who came to Troy 14 years ago, from San Francisco. 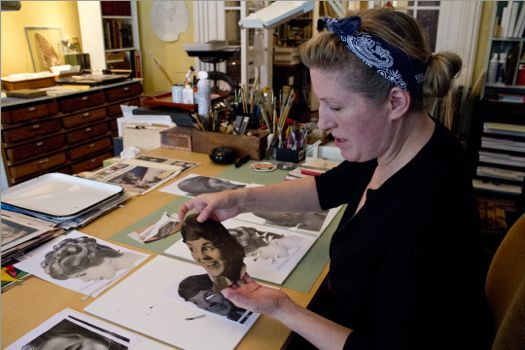 And a field where many are forced to do unrelated jobs to pay the bills, Haynes and Rein are thriving as full time exhibiting artists, working in spacious studios in their downtown Troy home, operating with multiple etsy shops, turning old objects, and paper, into new art. I'm visiting local state parks this spring and summer and will be sharing the best parts of each spot. Last time it was Peebles Island. Today, we talk Grafton Lakes. I really love state parks. As an apartment dweller, I have limited access to my own outdoors space and rely on parks and natural spaces to get sun and fresh air. Over the next few months I'm going to be sharing my favorite parks around the region, and highlighting the best parts of each spot. Imagine there was a natural retreat with walking paths, wildlife, barbecue pits, and peaceful rivers just a few minutes from your house. Okay, you can stop imagining now, because Peebles Island State Park is it. And if you're not already taking advantage of this spot, then you're missing out. 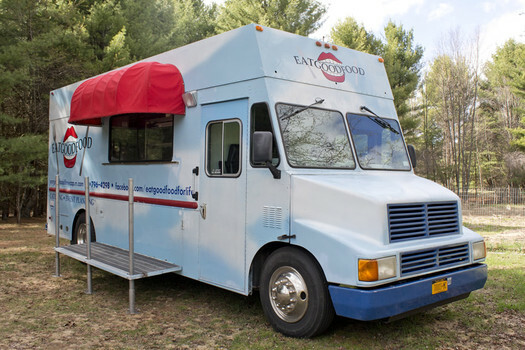 John and Jean Travis had run two successful restaurants, including the former Jonesville Store in Clifton Park, before getting into the food truck business three years ago with the Eat Good Food truck. The transition hasn't always been easy -- a sign on their truck reads: "The only thing more overrated than natural childbirth is the joy of owning your own business." Even so, the experience has the Travises sticking to their core principles of serving fresh food made to order -- while having fun doing so. And along the way they've found success teaming up with other food trucks. From John Bulmer's Reclaimed series. 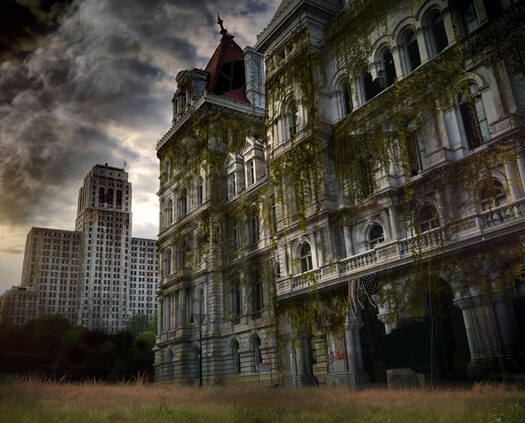 Have you ever wondered what the Capital Region would look like if everyone just disappeared? Whether it was from zombie apocalypse or mass exodus, the landscape would certainly change if we weren't around to mold and maintain it. Photographer John Bulmer has taken this idea and turned it into two series of remarkable of photo illustrations. His Reclaimed series imagines an abandoned Capital Region landscape after a catastrophic situation. The Dark City series is a little more peaceful, imagining how our region would look at night without artificial light from sources such as buildings and streetlights. The images in both series are eerily believable. Troy's former Union Station as it once was -- and still is, in miniature. Of all the things you might expect to find in the basement of a college dorm, a meticulously-built recreation of 1950s Troy is probably not one of them. 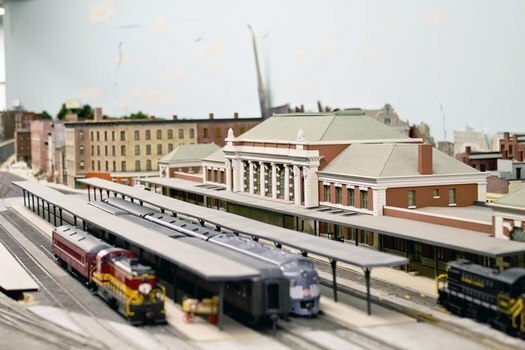 Yet in the basement of RPI's Davison Hall the Rensselaer Model Railroad Society has been constructing a to-scale version of the city and other spots around the region that were connected by rail. The work has been going on for more than three decades -- and it's a sight to see. 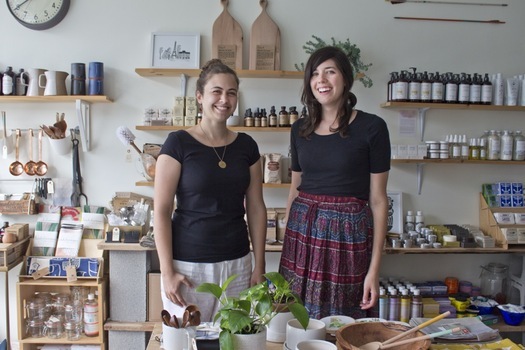 Friends Caroline Corrigan and Katy Smith planned for years to open a business in downtown Albany. They had a couple different ideas -- including an urban grocery. But they ultimately ended up in the Delaware Ave neighborhood with a modern home goods shop: Fort Orange General Store. It's grand opening is today. "We wanted to open something that was needed in the neighborhood it was in, and we thought about what Albany still doesn't have," Corrigan said. "Since we are connected to the art community, and both of us make stuff, this made sense." Paula Matt really loves animals. 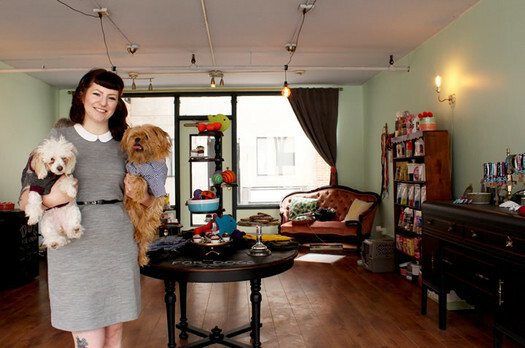 Growing up she had an imaginary dog named Josie, she works as a vet tech, and she just opened a pet boutique in Troy named Henry Loves Betty. The offerings are quite posh, with dog button-ups, candles for dogs, and loads of organic treats. I was skeptical, but Matt insists it's all worthwhile. I love to shop. But whenever I'm getting ready to buy more clothes, accessories, or housewares, I always end up at the malls or a big box store. It's completely ridiculous because I enjoy supporting local businesses, and there are so many wonderful places that are independently owned in the Capital Region. 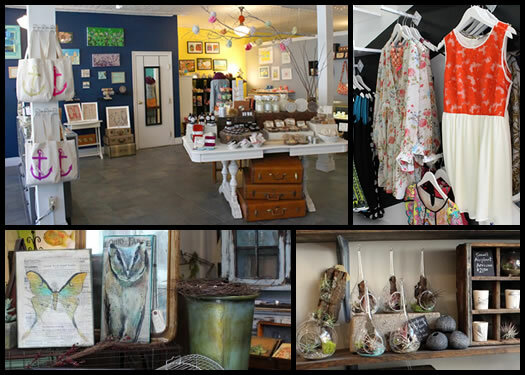 I'm going to be highlighting some of these places to shop, starting with women's clothing and housewares in Troy. Laura Kerrone is on a mission to bring New York-style bagels to Troy. Since moving here three years ago, Kerrone has been disappointed with she says is a lack of authentic bagels. That's why she wants to bring her "damn good recipe" to life through a new shop, The Psychedelicatessen, in downtown Troy. When planning a wedding, not everyone decides to do a big bash in a ballroom with all of their family and friends. Some couples forgo a traditional wedding and opt to elope instead. Local couple Nick and Sita chose to "sorta-elope" to Lake Placid -- and say they couldn't be happier with their decision. 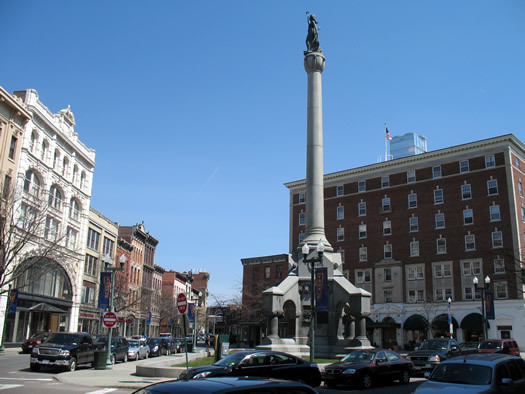 The center of downtown Troy -- figuratively, if not necessarily geographically -- is Monument Square. And it's aptly named -- there's 93-foot monument right in the middle of it. So, to what is it a monument? The difference between collecting and hoarding lies somewhere between owning only what you can carry and... well... what you see on the A&E channel. 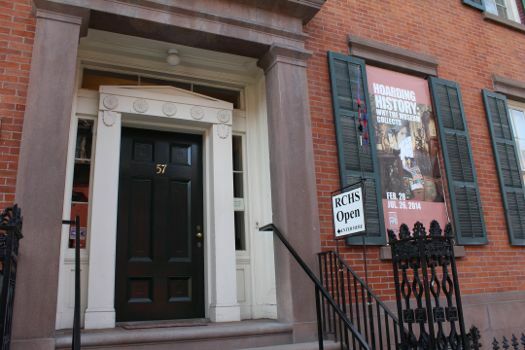 But at The Rensselaer County Historical Society (RCHS) collecting is their mission. RCHS has more than 30,000 items in its collection -- which may appear to tip to the side of hoarding, but their new exhibit helps explain what they choose to keep and why. Anyone who appreciates candy (chocolate in particular) from across The Pond, knows there are a lot of flavors, ingredients, and brands that are tough find in the USA. Things like Flake bars, Aeros, and Crunchies are hard to come by here. And what you can find -- British brands such as Cadbury -- may not taste quite the same on the Hudson as they would on the Thames. 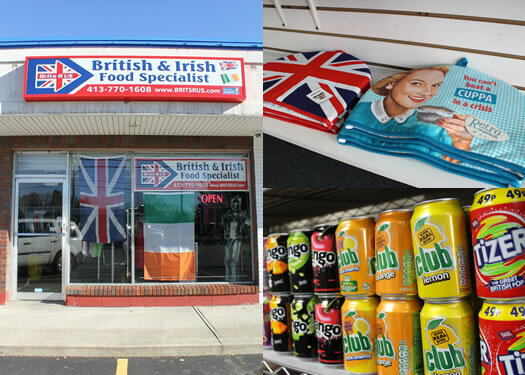 Which is one of the reasons ex-pats and anglophiles in the Capital District may be excited about one of Colonie's newest additions: Brits R Us. Juicing been getting a lot of attention over the last few years. So I was curious about Collar City Hard Pressed, a stand that opened at the Troy Waterfront Farmers' Market during the indoor season this past November. And after trying one of its creations, I was converted. Not only did the juice taste good -- but also you could see exactly what was going into your drink as it was being made. So I went back to sample more -- and talk with Collar City Hard Pressed owner Jessica Garrity why she started the business, her plans for it, and how she feels about the whole juicing movement. 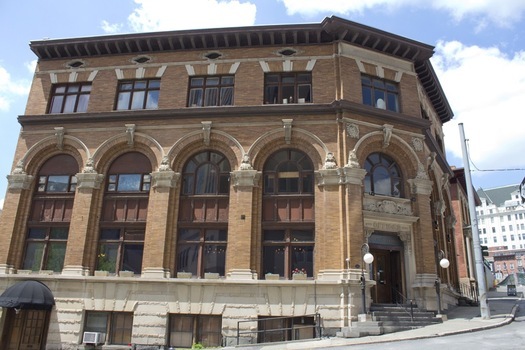 One of the most interesting buildings in Troy has been hiding for years. 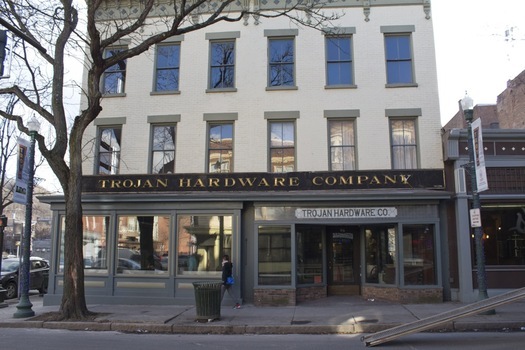 I've walked by 55 Third Street in downtown Troy dozens, if not hundreds, of times before I happened to get a tour a while back from then-owners Steve Rein and Niki Haynes. And I was completely blown away. The old Knights of Columbus building is so cool, filled with old Troy details and fabulous little nooks throughout. 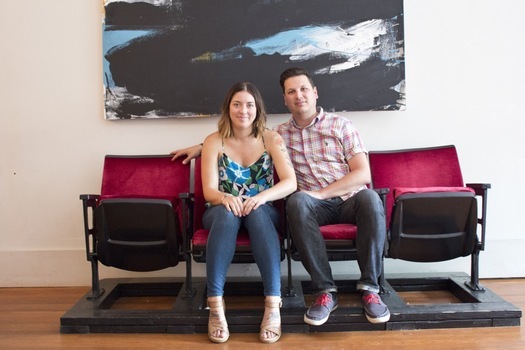 So when I heard it was going to be turned into an event space by its new owners -- Heidi Benjamin and Frank Sicari -- I was definitely interested to learn more. I recently toured the space again and chatted with Benjamin and Sicari about their plans for this surprising building. "All of her pictures captured our quirky personalities, and we still looked good!" 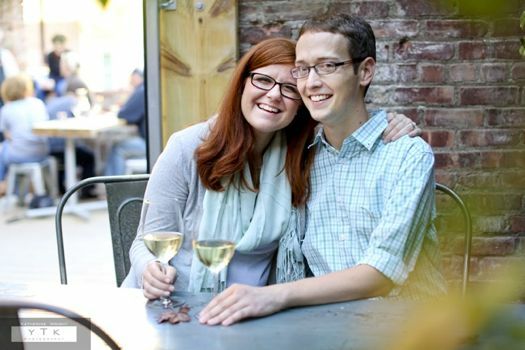 Lauren and George are planning a wedding in the Capital Region, and they're chronicling the planning process here on AOA. Last time we heard from them Lauren was picking out a dress. Next up: the photographer. When my fiancÃ© George and I first started planning our wedding, we made a list of the few things that were most important to us. Two of the items were things we could take on ourselves: having a wedding that involved our family and friends, and being true to our fun personalities. The other priority: to have a quality photographer who takes amazing photos. It wasn't an easy task to find someone we loved while sticking to our budget, but we eventually did it. A PB Dark, a Gooey Louie, and Zoo Animal cookies. 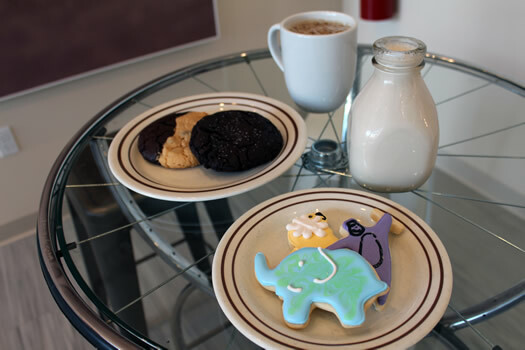 When I first walked by Plum Dandy Cookies and Milk, with a charming family inside enjoying sweet treats with adorable glassware and fancy straws, I felt like I was staring into a modern-day hipster Norman Rockwell painting. I wanted to stop in right then, but I was on my way to meet friends somewhere else. I love sweets, so it was only a matter of time before I arranged another chance to stop in. And here's what I discovered when I finally made it inside. Pin Up's Blow Bar in Saratoga Springs. First: an explanation, for those who have never heard of a blow bar. A blow bar is not a bar in the traditional sense. They don't serve drinks. Also, contrary to the suggestive name, there's nothing untoward going on. 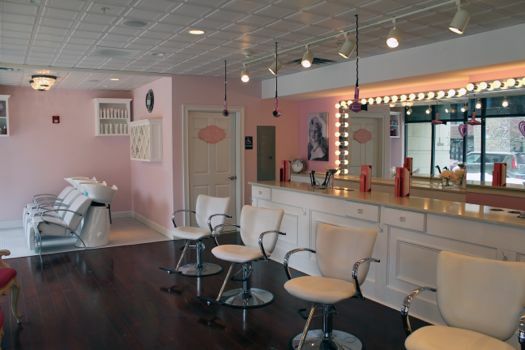 A blow bar is a salon that blow drys and styles your hair. No cuts, no color, just, "Wash, Blow, Style & Go." Why? Well, for most women, myself included, it's difficult to achieve a professional looking blowout at home -- not to mention the arm fatigue you get from holding your hands above your head for so long. Also, it's a little bit fancy. And as a lover of fancy things and experiences, I was completely willing to check it out. 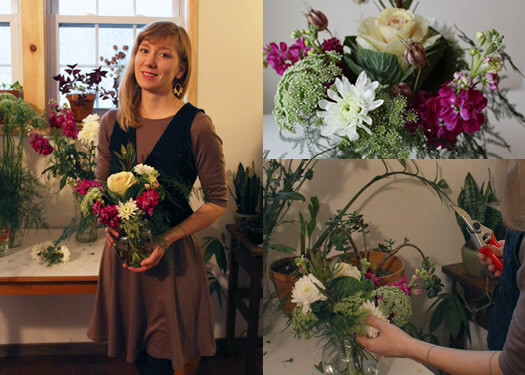 Last summer I received a few bouquets through Flower Scout, a local grower and purveyor of fresh-cut flowers that was also running a CSA. Flower Scout has since morphed into flower sales, event flowers (weddings, for example), and other ideas. I recently had the opportunity to chat with Colie Collen, creator of Flower Scout, about balancing creative projects, working for yourself, and Troy. Lauren and George are planning a wedding in the Capital Region, and they're chronicling the planning process here on AOA. Last time we heard from them they were checking out catering. Next up: a wedding dress. 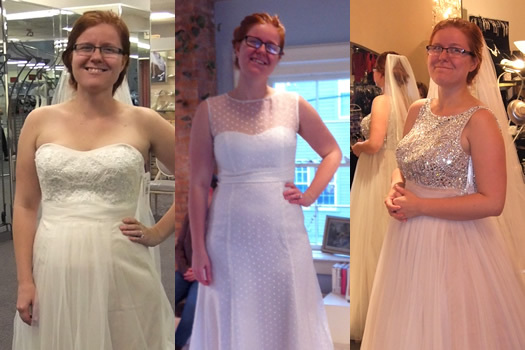 I never imagined that wedding dress shopping would be such a long and difficult process. All those wedding shows make it seem magical -- with infinite budgets, tears of joy, and champagne. My dress process, on the other hand, is a lesson in frustration. In the beginning I was so excited. I had scanned Pinterest incessantly and decided I was looking for a light, romantic dress with some sort of strap, and without a train. My budget was $700. I could do this. Considering a range of options... including food trucks. 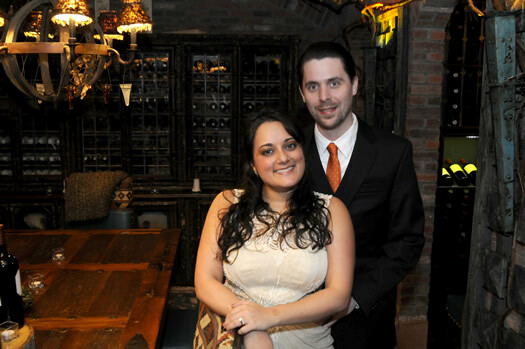 Lauren & George are planning a wedding in the Capital Region, and they're chronicling the planning process here on AOA. Last time we heard from them they were checking out venues. Now they're trying to select a local caterer. It is now less than six months until my wedding and I'm freaking out a little bit. My fiancÃ© George and I wanted to have a fun and casual wedding, so we didn't rush planning and have been slow to make decisions. Now that a master list of over 50 wedding to-dos has been constructed and time is ticking, I'm quite anxious. Luckily we've already decided on one of the most important parts: the food! Food is crucial to a wedding. Not only is a delicious meal one of the best ways to thank your guests for attending, the food and beverage is typically the biggest wedding expense. 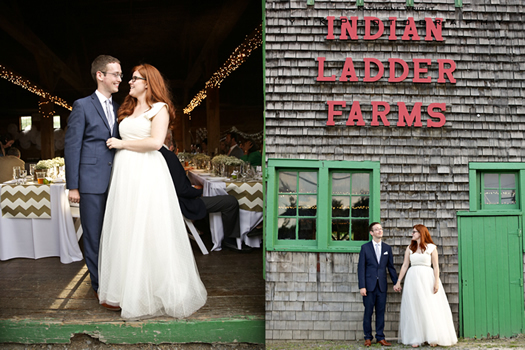 For those of you who tuned in last month, you know that my fiancÃ© and I have booked our wedding venue: Indian Ladder Farms. We are lucky that our venue does not require certain vendors, but it also means that we have to do a lot of searching ourselves. After we secured Indian Ladder, I went on a mad search for caterers. How much does it cost to feed a wedding of 75 people, anyway? The answer: It depends. The proposal was a bit of a surprise to me. We'd been together about a year and a half, but it came at the end of a completely terrible week last August. A car accident and subsequent surgery had forced my boyfriend and I to cancel our vacation, so we made the best of our free weekend by going to brunch in Saratoga. At the end of the meal George casually asked if I "wanted to be together forever." I responded with sass. "Sure," I said "I'm just waiting for you to ask me." George was completely prepared! As he got down on one knee, I was in complete shock. I kept asking "Are you for real?" and "Are you sure?" No one ever said I was smooth. I'm Lauren, by the way, an energetic non-profit marketer by day, and a crafter/DIY-er and author of The Thrifty Ginger by night. My fiancÃ©, George, is a freelance computer programmer and all-around nice guy. Over the next few months I'm going to share my adventures in Albany-area wedding land here on AOA.